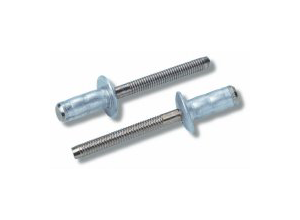 The Avdel Stavex® Steel Rivet is a multi-grip, high-strength breakstem fastener. 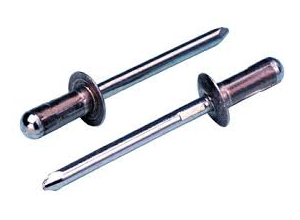 Produced in either steel or stainless steel to meet your requirements, this blind rivet can replace several grip fasteners. 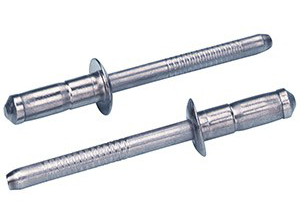 With good hole fill and a large bulbing tail, this rivet is ideal for use on thin sheet materials. Stavex rivets are available in steel or stainless steel, in dome, countersunk and large flange head styles. They are available in 3.2 up to 6.4 diameters. Stavex can be used to fasten metal to metal, plastic to plastic, metal to plastic and metal rear sheet.